Plug-and-Play Connectors Lower Wiring Costs What next for the Industrial Ethernet? When it comes to hygiene, the food and beverage industry sets high demands. This is reflected in the corresponding standards for firms that build plants for food processing, although these standards vary greatly between countries, continents and major markets. For example, the directives of the European Hygienic Engineering and Design Group (EHEDG) that are accepted in Europe are virtually unknown in North America and in some Southern Hemisphere countries. There is also UL certification for compliant use of components in plants and machinery. LAPP Australia increasingly offers connection systems that meet all standards, in order to make choosing the right components easier. The latest all-rounder in its product range is the Skintop Hygienic NPT cable gland, which is now also available with NPT thread and certified to NSF/ANSI 169 for “food zone non contact”. This makes it suitable for areas in (“North American deleted) food production where especially tough hygiene rules apply. The cable gland can be used for filling systems in dairies or breweries, as well as in the chemical and pharmaceutical sectors. What makes the Skintop® Hygienic NPT special is the combination of hygienic design with an NPT connection thread, says Lapp Australia General Manager Simon Pullinger. . Most self-sealing pipe threads produced to major food production standards such as the American NPT standard (NPT = National Pipe Thread) usually have a gap at the intermediate connection, while part of the outer thread remains visible. This feature clearly runs counter to the principles of hygienic design, which calls for surfaces to be as smooth as possible, without edges, corners and above all gaps in which food could settle and allow bacteria to develop. LAPP’s engineers came up with a smart design that creates an NPT thread with no gap and no visible thread. The cable gland therefore meets the latest directives of globally respected non-governmental organization devoted to the advancement of hygienic design and food engineering, EHEDG, the European Hygienic Engineering and Design Group. It is also resistant to cleaning agents in line with the requirements of ECOLAB, a provider of products and services for industrial cleaning. The fact that the new Skintop® Hygienic NPT also meets the standards of the American National Sanitation Foundation (NSF) and is UL certified makes it an all-round product suitable for both export-focused plant engineering firms in Europe and those based abroad. As is standard for LAPP, the Skintop® Hygienic NPT is available in all standard diameters with the corresponding counter nuts. An EMC version that reliably conducts away unwanted emissions, the Skintop® Hygienic SC NPT, is also available. 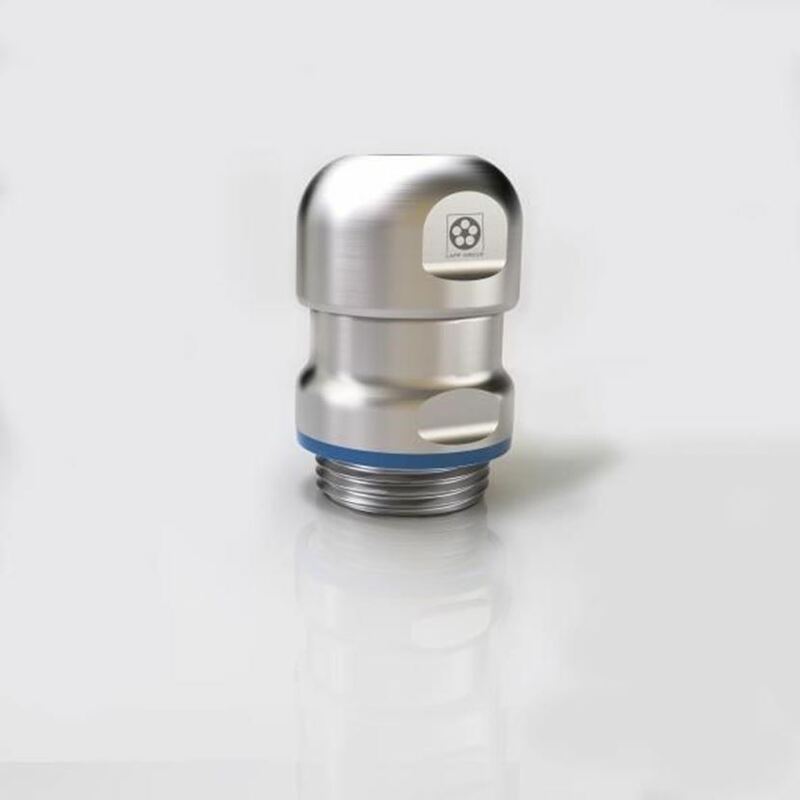 LAPP also offers the SKINTOP® Inox NPT, a more compact variant with NPT thread that is suitable for plants in which the cable gland is only used in the spray zone or non-product zone. This variant is also available with EMC protection as the Skintop® Hygienic SC NPT.